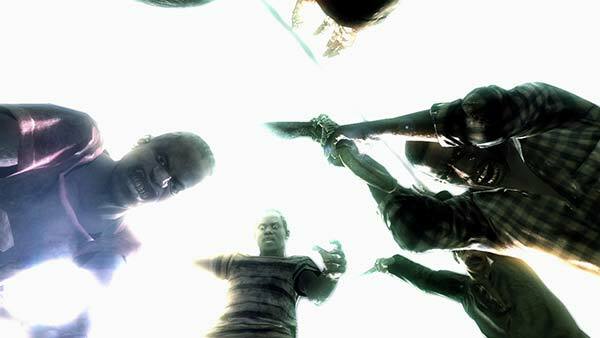 The release of Resident Evil 5 has brought any number of potential problems along with it. Is the game racist? Will the co-op structure ruin the excellent formula laid down in RE4? Will fans cringe at the story? These are all valid questions and unfortunately the game does not dispel all of our concerns. Having played it to completion, I find that the game ends up faring better in a few regards, and worse in others. Capcom’s attempt at a hip hop video. To begin, let me state that I do not wish to cover the racism aspect in this review. It isn’t that I don’t care about the topic, or that I believe it doesn’t exist. I simply feel that it is important enough that it demands discussion between people with sufficient knowledge and experience on the subject. I cannot say if we will ever get this rich discourse, and until we do I find that the majority of the debate is being done by confused twenty-somethings with different preferred subjects of philosophy, who like to rattle their sword out of sheer boredom more than anything else. For everything interesting that could come out of that, there are also idiots who think making a difference means stealing a copy from a retailer. I’ll wait until the topic gets some actual respect. So on to the game itself we go. The first fear in relation to the co-op experience, that your partner Sheva’s AI will hamper your effectiveness, is largely unfounded. Instead she is as useful as you want her to be. If you give her some decent weapons and take advantage of the basic commands system, she becomes very handy in a fight, particularly in regards to assisting you when attacked. The only time she gets unruly is if you walk too far away from her, which triggers her instinct to go collect items on her own, though this can be minimized by sticking together (which then allows you to choose which items she picks up). No, the real problem with co-op appears before Sheva can even pull the trigger. Resident Evil has always struggled with item management, and RE5’s new solution makes RE4’s Tetris-like attache cases look heavenly. This time, all items take up one slot in your 9×9 inventory, but space fills up sporadically. 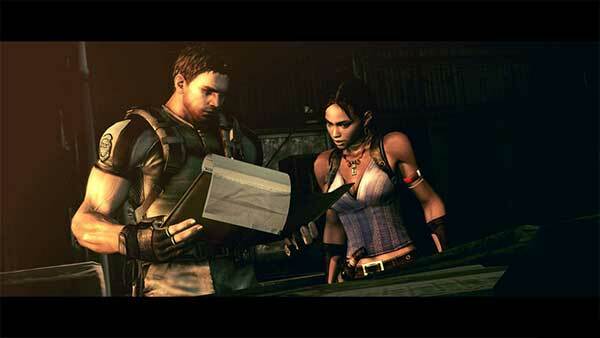 You may find yourself with no room to pick up an important item, only to pass it on to Sheva for safekeeping. After an intense fight, you may find some extra space available, forcing you to swap items back and forth with her, and hoping she didn’t chew up any ammo you passed on. Speaking of ammo, you can only transfer “whole hog” style. If you have thirty rounds of pistol ammo, you are going to give her all thirty rounds, with no option to split it up. This means that you will have to carefully allow her to obtain her own ammo, or for you and your human partner to mange munitions fairly. This all adds an excessive amount of micromanagement to the experience which not only takes about as long as inventory cleanup in RE4, but is made even more dangerous by the fact that inventory use occurs in realtime. It must be tough to find pink jeans when you’re seven feet tall. Further complicating matters is how Capcom blindly follows the now traditional “lobby” system of most co-op games. 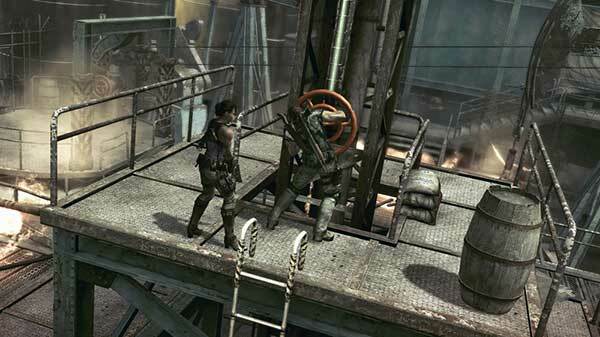 No matter how you play RE5, the game sees it as multiplayer lobby configured for either private or online invites, set to whatever mission you happen to be on. This is a problem when combined with the decision to force players to keep their current inventory at all times. Aside from the fact that this allows you to go into the harder difficulty levels with fully upgraded weapons (though you don’t have to), this also confuses the hell out of the game when you jump between single and multiplayer between plays. For example, I first began playing the game with my roomate Matt on Normal difficulty. When I realized I could pull him away from World of Warcraft with a frequency of less than one night a week, I soldiered on alone. Computer Sheva kept all his weapons, but since I was now playing on Veteran, I took some of them for myself to ease the pain. When Matt rejoined me on our original play, the game flipped out and “couldn’t find save info” for him. Before I could investigate the situation, he overwrote his file, and was now in the middle of the game with only the starting pistol. He couldn’t even buy new gear from the store, as it assumed that he had encountered no other weapons before. He gave up in frustration, and when I later went back to playing alone, computer Sheva didn’t have the weapons I left her with, or the items Matt had picked up. Her inventory was entirely empty. The only rule I am certain of with the game is that human players cannot trade weapons, but you can trade with the computer, allowing you to steal from each other if you are both on a local console. Beyond that, the inventory system is absolutely fucked. I am sure there are other rules that govern how this all works, but I am certain they are all unnecessarily strict and they all boil down to the fact that the game insists on creating lobbies under the assumption that the parameters have not been changed from last time, as opposed to using the tried and true method of separate save files that can store the state of your various single player and co-op experiences. Resident Evil 5 inadvertently highlights the biggest problem with the industry’s fixation with co-op. We simply do not put enough time into making it play nicely with single player. They end up being treated as the same thing, without realizing that some parameters will change based on which you choose. The best solution -playing through the game completely in one mode – is also the worst. Welcome to the next generation of valve puzzles! Moving beyond co-op, there are a few subtle tweaks to the old RE4 system that dilute the experience. You can still find treasures hidden in each level, but these can no longer be combined with larger objects to make more valuable loot. The lovable old merchant has been taken out, so that you can now only upgrade and buy weapons after dying or completing a chapter. Considering the merchant would often appear at the start and end of an area, this works mostly the same, but lacks charm. The game’s arsenal has also been expanded, mostly to feature even more sniper rifles and submachine guns, but the upgrades between them feel inconsequential. In RE4, certain weapons had distinct advantages, while others were simply better by being newer. For example, the Street Sweeper shotgun could hold 50 or 60 rounds, which the earliest model shotgun could not compare to. In RE5, most of the guns are so effective when fully upgraded that there is little incentive to use one over the other. None of these are game breakers, but they are all signs of how many of RE4’s finishing touches have been scraped off into the trash heap. Resident Evil has never had the most thrilling of stories. Even (most) fans will admit that the charm comes from their B-movie cheesiness. RE5 indeed has its own style of cheesiness, but it is less Resident Evil and more Metal Gear Solid. It is shocking to see how many cues come from Konami’s happy, melodramatic mess. That wouldn’t be too much of a problem, except for the fact that Resi always focused on putting cliched characters into a location, and reveling in the chaos that comes from tossing zombies into it. This newest sequel opts for overly scheming grand villains, who use zombies as a tool for their plans of world conquest. Matrix-esque kung fu showdowns are commonplace. The zombies have been replaced with private military contractors, Chris with Solid Snake, and Wesker has been lost to Liquid Snake and Revolver Ocelot. I’m a big fan of MGS myself, but it has never been, nor should it ever be, the same blend of silliness as Resident Evil. The reverse, of course, is also true. Furthermore, the game plays fast and loose with the established lore. Questions are answered, some of which we didn’t know needed an answer, but it gets sloppy, offering seemingly numerous explanations for various plot points, which may or may not step on the toes of past games. I have never been a stickler for canon, but that doesn’t mean a franchise can’t be consistent, and the pre-RE4 games were far better at this than what we have here. So far this entire review has been nothing but negatives, making it hard to believe there is any good to be found here. I suppose this is due to the fact that these negatives are the only new features worth mentioning. But beyond them, at the core of the game, lies the same experience that made Resident Evil 4 a modern classic. It hasn’t come back in perfect form, but it hasn’t vanished either. With the addition of a good buddy and some jaw dropping graphics, the result is almost as good as its predecessor. But almost isn’t good enough. After all these years and such high expectations, I was hoping that Capcom would have solutions to old problems, rather than introducing new ones. Resident Evil 5 may very well be worth your time, but it should not take precedent over the better offerings of 2009. I tend to consider myself a Resident Evil fan and I have cringed at the story in every game so far. John – understandable. I’ll be sure to not to generalize like such in the future. I do tend to enjoy them, simply because the idea of, say, Leon fighting zombie spanish Napoleon and running away from giant statues is laugh out loud funny. But that doesn’t mean it is inarguably funny. The question that no one has a good answer for is whether the creators do this on purpose, or if they approach it with the utmost seriousness. Not that I know of DeeMer. 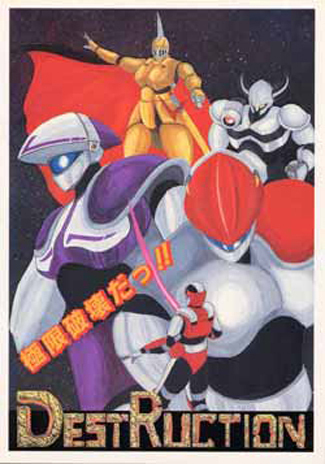 Someone elsewhere described what they saw as “Gamefaqs with a chip on their shoulder”, and that sounds about right. It essentially lost all the decent posters that once (and sometimes still) roam insert credit, leaving behind the most apathetic and careless of the old posters, who mingle with new faces that don’t quite get it. Kind of sad, but there are better pastures. I never get how awkward inventory schemes and other user un-friendly designs make it to final version of big budget, big studio games such as RE. Do the designers get so immersed in their own clunky system they assume it’ll be good enough and just abandon common sense? Is it a conscious budget decision to neglect the UI? Or are they just the same angry Japanese that fly planes into aircraft carriers and commit suicide if things don’t go well, so to them a crappy inventory system is as trivial to us as a line at Wendy’s? Sometimes I think they simply get so carried away with an idea that they don’t think enough on it. For example, how do you fix the biggest problem with RE4’s inventory? You make each item take up one slot. Except there is more to it than that which they simply did not fully consider. The best way to minimize issues in RE5 is to never carry more than one weapon. If you have a setup with, say, SMG/Rifle and Pistol/Shotgun, with one grenade type each, and you strategically grab items like the Magnum and Grenade Launcher for areas in which you know a tough fight is coming up, then you can make it out alright. That not only requires at least one play through to gain that knowledge, but it can be a lot of micromanagement even between two human players. Insighful review. Unfortunatly since I do not own a 360 myself I cannot play it for myself. That inventory system seems a bit messed up. I love your reference to RE4’s inventory systme as being tetris like, very good comparison. What I find most interesting is how the co op play works. Not so much in playing with a friend, but when the computer controls the extra player. Would you say it is anything like RE: Zero? Better? Similar? Different? The way items are shared seems to be toally screwed up. If I remember correctly Zero’s inventory system wasn’t too bad, but it’s been awhile since I plyaed that game. Rich – Co-op is nothing like in Zero. There, your partner mostly stood and shot at the enemy, and it was often easier to explore an area alone (while leaving them in a safe room). 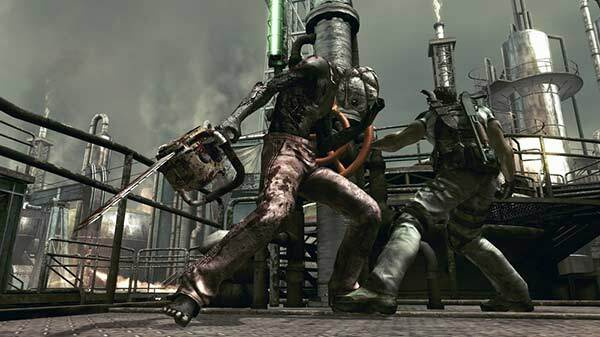 In RE5 your partner is much smarter, and much more necessary, considering how much the series has changed between Zero and RE4. Not trying to be a jackass but just wanted to point out that the inventory is a 3×3 box, not 9×9. Boy would that make a difference!